Woo her with the hearts and diamonds on this Aaron Basha baby shoe charm. 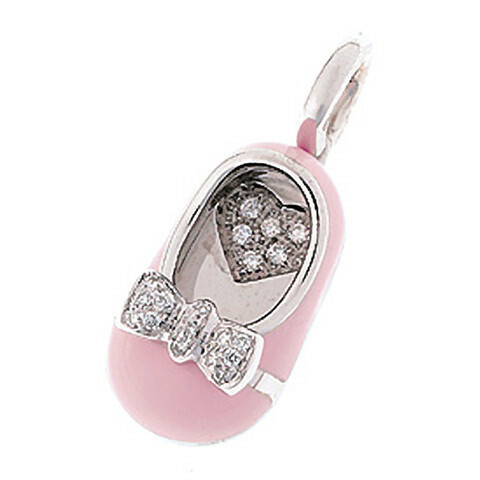 With an 18kt white gold setting, a light pink enamel coating covers the shoe. An adorable diamond bow sparkles brightly, and a heart laced with diamonds is engraved inside the heel of the shoe to shine outward. Your new edition will definitely steal your heart... Why not commemorate the birth with this fabulous Aaron Basha charm? !